Earlier this year I wondered about the full collecting history of the "Sappho Papyrus". 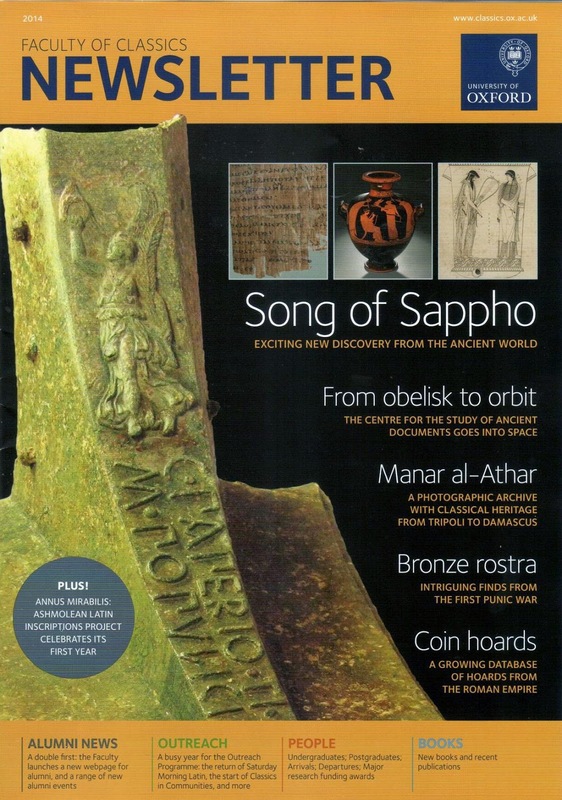 Dr Dirk Obbink has now published a short piece in the Oxford Faculty of Classics Newsletter. The double page spread (though the right hand page is by Dr Armand D'Angour on 'The song of Sappho') has as its flag: 'Sappho: a New Discovery from the Ancient World'. If it is a 'new' discovery, please could somebody state where and when it was found? Who made the discovery? What is the 'documented legal provenance'? Who has authenticated the collecting history? Has the editor of the Newsletter considered the ethical issues over endorsing the papyrus by including this piece?